The U.S. Copyright Office recently released its comprehensive Music Licensing Study, a roadmap for potential revisions to the Copyright Act. The Copyright Office hosted a series of invitation-only roundtables to hear testimony from a variety of stakeholders. The New York roundtable was held on June 23, 2014 and included Paul Fakler representing the National Association of Broadcasters and Blake Morgan, an artist, songwriter and label owner involved with the #irespectmusic movement. The National Association of Broadcasters (“NAB”) is the principle lobbying group representing largely the commercial radio stations in the United States. Broadcasters are an extremely powerful lobbying group that has stopped artists from being paid a broadcast royalty in the U.S. for nearly 100 years–even though artists are paid for broadcasting in every other democracy and major economy around the world except for countries like North Korea, Iran and Rwanda. The Copyright Office released transcripts of these hearings that are readily available but the transcripts are like open secrets–read by those in the know, but most journalists don’t bother reading them. The Artist Rights Watch team read them–of course–and remembered an exchange between Blake and the NAB representative which we excepted below. Two events happened last week that make this particularly relevant. First was Congressional testimony last week by the head of the Copyright Office, Register of Copyright Maria Pallante where she gave her unequivocal support to the Fair Play Fair Pay Act introduced in Congress by Rep. Jerry Nadler (D-NY). The other was the formation of the “Mic Coalition” (or as a commenter said, the “McCoalition”) with it’s announced goal of making a happy meal of the Fair Play Fair Pay Act and artist pay for radio play. What’s different about the McCoalition is that we now see who our enemies are. Not only does the McCoalition include the NAB–an extraordinarily powerful special interest group long devoted to protecting crony capitalism and the broadcaster loophole–it also includes Google, Amazon, Pandora, the Digital Media Association (of which Google/YouTube, Amazon and Pandora are members), the Computer & Communications Industry Association (of which Google, Amazon, Pandora are members) Cox Media Group, iHeartMedia (formerly Clear Channel), Salem Media Group, the National Association of Broadcasters (of which Cox, iHeart, Salem and Pandora are members), the Music Licensing Committee (of which Cox and Clear Channel are members), the Consumer Electronics Association (of which Amazon, Google and Pandora are members), the National Restaurant Association (which fought the performance royalty for songwriters whose music is performed in restaurants), the American Hotel and Lodging Association (which also fought the performance royalty for songwriters). And then there are the human shields at the Educational Media Foundation and, as David has pointed out, National Public Radio. A combined market cap in excess of $2 trillion aligned against artists and songwriters. And if that wasn’t enough, the whole group is organized by the Washington, DC shillery, Twin Logic Strategies–the brainpower behind the Internet Radio Fairness Act. This is “astroturf” in every sense of the word–a manufactured alliance to taint the Congress no doubt with threats and intimidation for anyone who would dare consider supporting the Fair Play Fair Pay Act. The Act accomplishes two main goals: pay artists in line with the rest of the world and stop Pandora and SiriusXM from screwing legacy artists with the pre-72 loophole. That’s what all these companies and their lobbyists stand for. While the McCoalition has so far come up with platitudes and glittering generalities about their motives, make no mistake–these people are out to stop artist pay for radio play and probably go much, much farther to roll back other artist rights–or else why are the restaurants and hotels in the group? Why is NPR in the group? In other words–if you ever doubted before, the McCoalition should provide you with all the evidence you need. 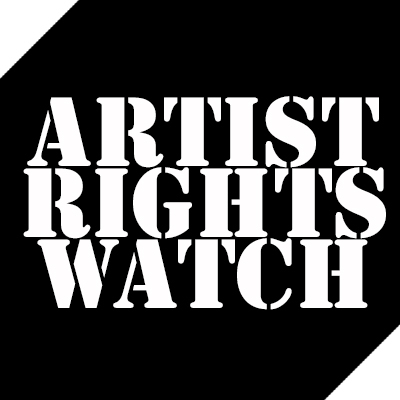 Companies with trillions of dollars of market cap and hundreds of millions of lobbying power and political contributions are out to nail artists and songwriters to the wall. And at the roundtables, the goals of this group were articulated by Mr. Fakler in this exchange with Blake, moderated by Jacqueline Charlesworth, General Counsel and Associate Register of Copyrights, U.S. Copyright Office. MR. MORGAN: My name is Blake Morgan, I’m a recording artist, and a songwriter, and a label owner here in New York City––in fact––right up the block. And in January, I started something called “I Respect Music,” which began as a petition to Congress, urging Congress to support artists pay for radio play. And many, many thousands of signatures later, it’s grown into a grass roots movement with people holding up signs on Twitter, and Facebook, and Instagram, and covered by major national press, and all sorts of terrific things. It’s about a simple idea: that artists should be paid for their work. When it comes to radio air play, we are the only democratic country in the world that does not pay artists for radio play…. MR. FAKLER: Between the pre-existing service issue, and the radio issue––since I’m the one at the table with everybody’s arrows in my back––it may take me a little bit longer to respond to all of the various things. Let me start out with some general points here, because this has been a problem endemic to this discussion…. You know with respect to radio, and the promotional value of terrestrial radio, all I can say is that all of the studies still always showed radio as the number one discovery vehicle for sound recordings, and driver purchases. That hasn’t changed…. MR. MORGAN: Really, sir. There are many, many complicated issues here, but this part of it isn’t. This country is an idea. It is one that has lit the world for two centuries. And the idea is: we can do better. We’re here to form a more perfect union. We fix injustices, large and small. Sometimes it takes us a lot longer than it should, but we do it. And in the last century alone we’ve been able to split the atom. And put a man on the moon. And splice the gene. And I think artists and musicians are saying, “Can we please––can we pay Aretha Franklin when ‘Respect’ is on the radio?” That is the question. MS. CHARLESWORTH: You have 30 seconds to respond and then we will continue, since there is a direct question. MR. MORGAN: I’m not calling you a name, sir. I’m simply reminding you that the rest of the democratic world sees value, and awareness, and promotion on the radio, and also says our work should be paid for. The only group of countries that does not agree with that is a “bad” group of countries. And it’s embarrassing I think––as the United States of America––when blues, and rock-n-roll, and hip hop, and Jazz, etcetera, are American innovations and American birthrights, and we don’t show the same amount of respect––pardon the overuse of the word––to those artists. So I’m not attacking you personally, or in any way. I’m really asking what is a very reasonable question to the music maker and music lover public. Which is: it is incomprehensible that we don’t have this right in this country when we are the ones, together, who came up with these art forms. And Belgium is able to do this, but we are not? MR. FAKLER: And yet the American recorded music industry is the biggest, best, and envied throughout the world. And it has lived with this system for close to 100 years. MR. MORGAN: — until we fix them. MR. FAKLER: — that all of these other countries that you are discussing have very different legal regimes as relating to sound recordings in particular. MS. CHARLESWORTH: Okay. I think both sides have made their points, and we are going to move on…I think Mr. Morgan is going to bring us home. MR.MORGAN: Just very quickly. So this is-–you’re conducting a music licensing study about these issues, and in some of this stuff we do get lost in the tall weeds because it’s complicated. And, Mr. Fakler, you do have a tough gig here today, and I appreciate you coming here and being the standard bearer for that particular position. I guess as part of the study what did seem very simple to me––I didn’t hear anybody else and I’m just curious––is there anyone else at this roundtable that’s against a performance royalty at terrestrial radio? So everyone here at this table except Mr. Fakler believes that there should be a performance royalty at terrestrial radio? Okay, thanks. MR. FAKLER: Would anybody else’s clients actually have to pay the royalty? MR. MORGAN: And actually, with a little comedy we can end with a little comedy. I appreciate that wherever I go, when I travel and I talk about this issue, I say that I understand the NAB’s position. It’s legitimate, and it’s one that we should pay attention to because it is serious, and it is valid. And the valid position is, “We don’t want it.” “We don’t want to pay for it.” And I get it. But, other than, “We don’t want to pay for it,” I have yet to hear an argument that is solid. MS. CHARLESWORTH: Okay. Well, thank you, I’m glad we had a little bit of humor at the end…. And that’s a good place to leave it with the McCoalition: They are frankly an embarrassment. 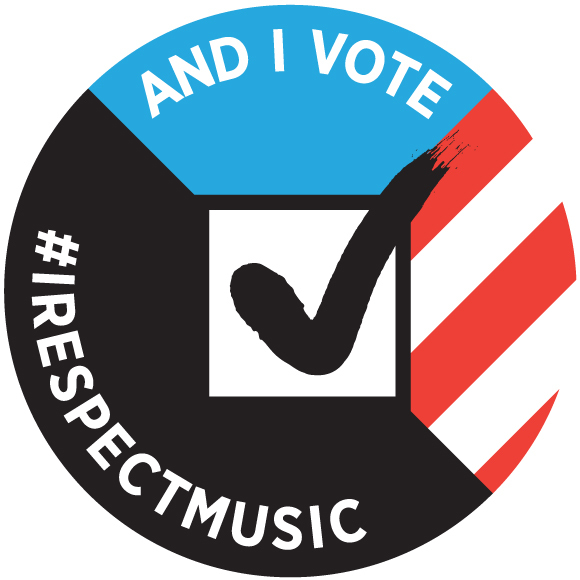 Blake will be taking the #irespectmusic message to Canadian Music Week in Toronto on Friday along with Zoë Keating. Well said Blake Morgan!!! And, as weak as Mr. Fakler’s defense was I’d be VERY concerned if he was rep’ing for my Astroturf Coalition. That fella might be the best thing to happen for artists rights given his displayed ineptitude! Cash is loud folks but, stupid is pretty loud too.